GUAR GUM INFORMATION AND GUAR GUM CULTIVATION IN INDIA: Arrival of new Guar Seed crop has started in local agriculture markets (Mandi). Arrival of new Guar Seed crop has started in local agriculture markets (Mandi). Arrival of new Guar Seed crop has started in local agriculture markets (Mandi). Harvesting of guar seed crop has started in irrigated belt special Ganganagar, Hanumangarh and Haryana. New crop of Guar seed has started to arrive in local agriculture markets. Arrival of guar seed is good in irrigated belt and arrival is poor in rainfed area. Quality of guar seed in Haryana belt is poor, as guar seed has turned black due to heavy rainfall. But there is no major difference in prices in black seed and normal seed. Traders are purchasing the arrival with normal seed. 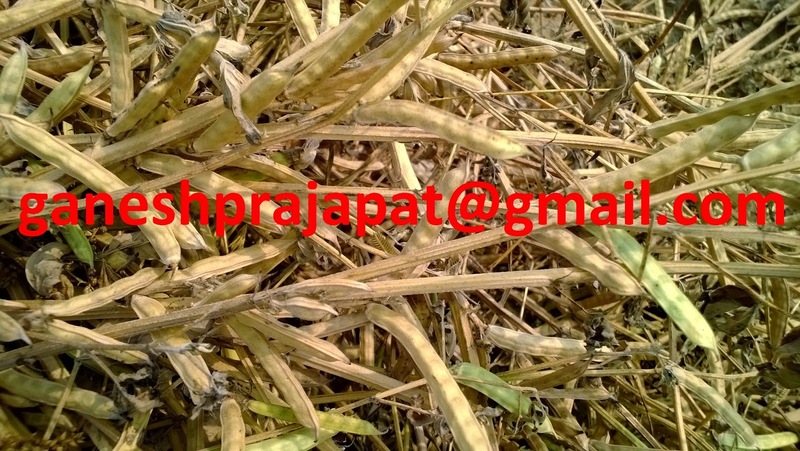 Guar crop has sown late in rainfed area, so guar seed arrival has not yet started in local markets. Arrival of guar seed may take another 10-15 days in full arrival. There is report that minor quantity is coming local markets in rainfed area. Market man are estimating that there is production of 50-60 Lacks bags (100 kg each) of Guar guar seeds. Govt data are estimating that there is sowing of guar seed on 34,18,000 Hactare till 24/09/2018. This year rainfall was poor and uneven in rainfed area, so productivity of guar seed is expected to remain low. Export of Guar gum is also higher than previous year. Demand of guar gum is increasing in USA. Fracking activities are increasing in USA. This year 10% more Oil rigs are functional than previous year. Crude oil prices are increasing in international market. Crude oil price is increasing continuously, and it has reached more than USD 84 /barrel. Though WTI crude oil is around 73 USD/barrel. USA has put restriction on trading of Iranian oil. There is tight availability of crude oil is global market. There will be arrival pressure on guar seed and guar gum prices for next two months. If the guar seed arrival is local market remains poor in next 15-20 Days, then prices of guar seed and guar gum will increase. Guar is taken only in one season so, exporters and stockist will have to buy and stock guar commodity in this season only. China is largest importer of soya meal from USA. This year there is trade dispute escalation between China and USA. Guar korma will get good market in China. If Guar protein/ Guar Meal gets good market potential, then guar seed prices may rise further from the current levels. Till August 2018 there is export of 2,22,055 MT of Guar gum which is higher than previous year. In monetary terms there is export of guar gum of 301 Million USD or 2039 Crore Indian Rupees.